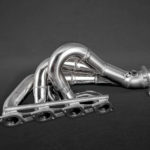 These High Performance Headers made from from 1.4828 (T309 (1.4828)) grade stainless steel were designed for the Ferrari 430 Coupe/Spider and Challenge. The 4-2-1 design of these headers maximizes torque and horsepower in the midrange of the power envelope, right where the driver needs it. 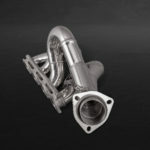 The bends and connection points are of a constant radius design which maximizes the exhaust gas flow. 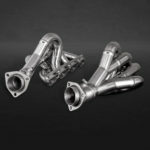 These headers are built as light and durable as possible. 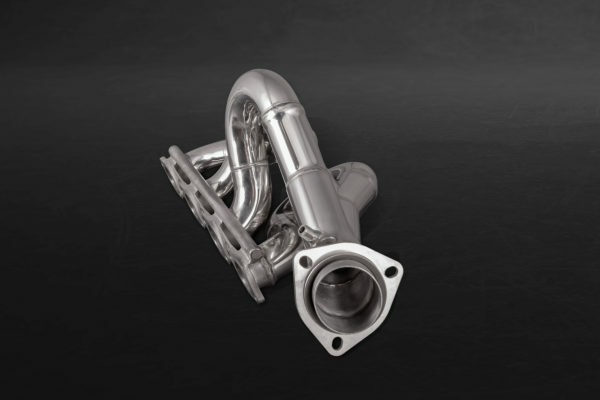 These high performance headers bring a noticeable increase in power and torque. 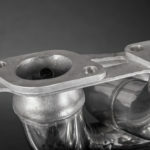 Since they are compatible with the original catalytic converters, the headers can also be used as a cost-effective substitute for defective OEM headers. 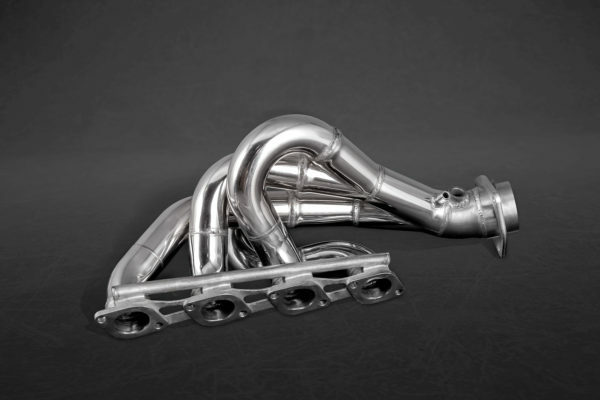 The headers come standard with the new innovative CAPRISTO Heat Shield. 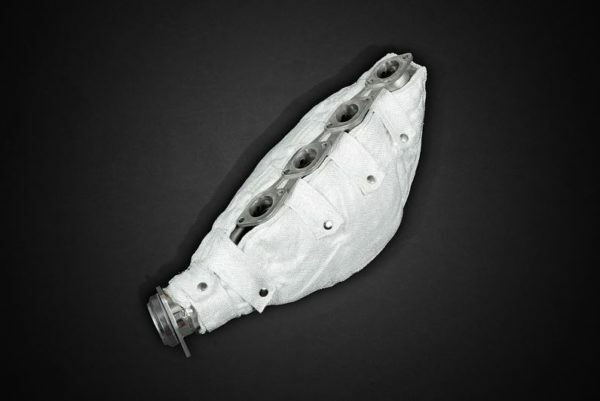 The Heat Shields are made from a very high-heat resistant material, initially developed and used by NASA. 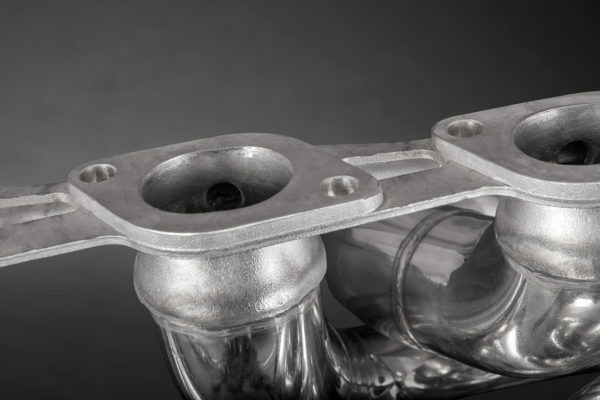 This helps to reduce radiant heat from the exhaust headers and sports catalysts. The shields are heat resistant for temperatures of up to 1300 degrees Celsuis. Reduced heat or temperatures in the engine compartment improves performance. Cooler air boxes result in a cooler air temperature for the engine to “breath-in”. In turn, the denser air makes more horsepower. 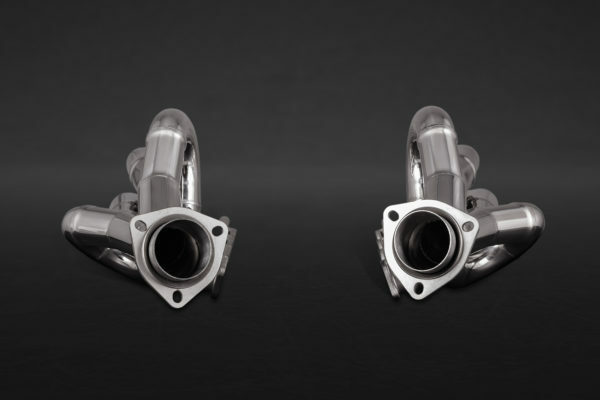 As the outside of the glaring hot exhaust is shielded from its surroundings, the shields also reduce the possibility of fire which sometimes arises from liquids/oil getting in contact with the exhaust system. 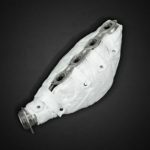 The heat shields can also be attached to the headers later on without dismantling. The Headers CANNOT be installed & used WITHOUT these Heat Shields. 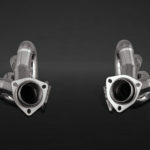 Should you wish to retain the original OEM Exhaust (silencer), you must replace the exhaust mountings and brackets with the CAPRISTO mounting kit. It is important to note that these headers should not be torqued over 24 Nm or 17.5 foot pounds. Over tightening will lead to stud failure and/or cylinder head damage.